Watch a free Finnish lesson! Easy learning: After watching the videos and playing with the flashcards several times, most children can easily name everyday objects and understand basic words and phrases in Finnish. What is inside the Finnish Standard set? 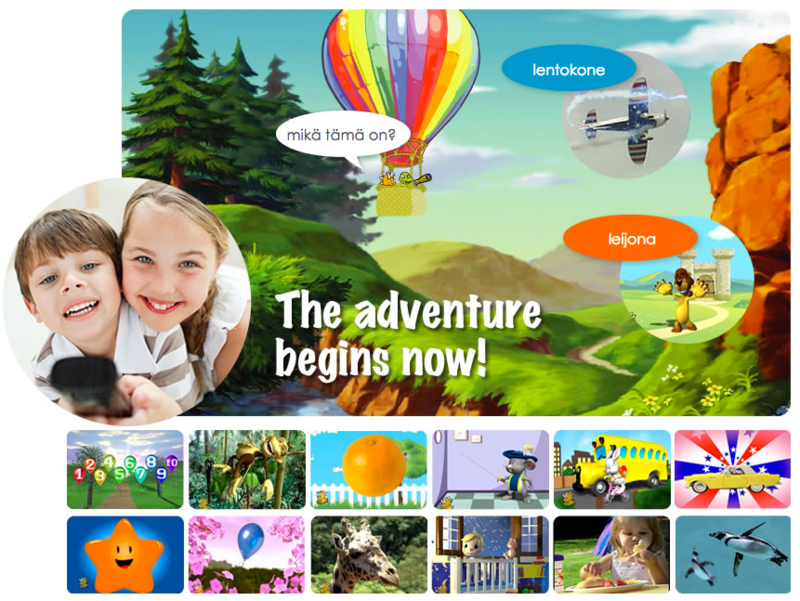 Dino Lingo Finnish for Kids learning program teaches the most common 200 Finnish words and phrases in 6 DVDs. Dino Lingo Finnish learning flashcards teach the most common 150 words in Finnish. There are 150 total flashcards included in your bundle. 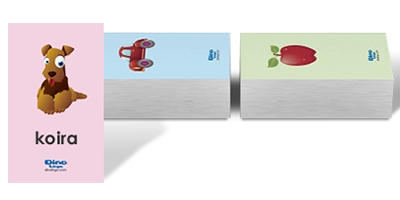 Finnish Flashcard Set Categories: Numbers, Colors, Food, Fruit and Vegetables, House Items, Body Parts, Family, Clothes, Vehicles, Nature, Animals, and Greetings. Learning Finnish has never been this fun!